It's been six months since my last entry, as I've been entering on Facebook and have thus neglected to enter my blog. 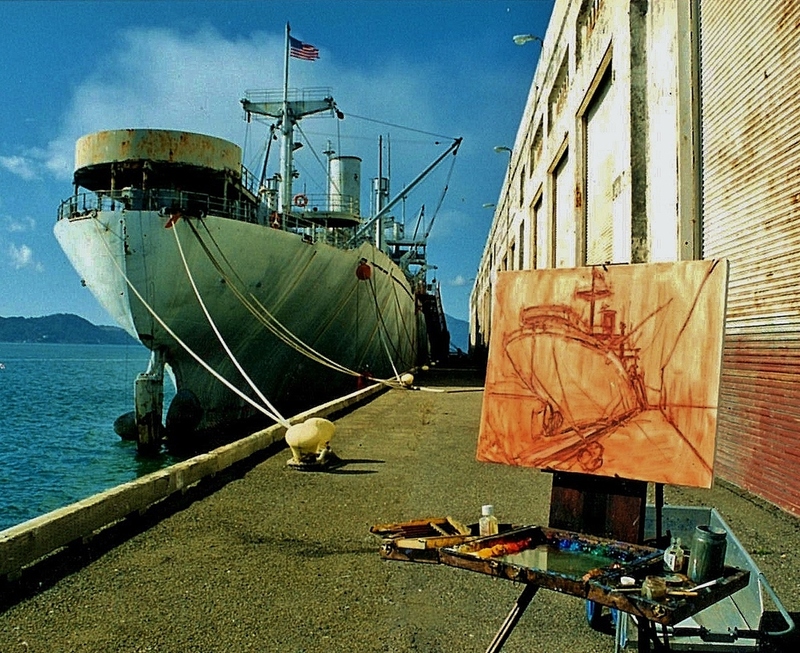 I began this painting on location about 10 years ago, then decided to use it as a teaching tool for my beginning oil painting class through the SBCC Continuing Education. 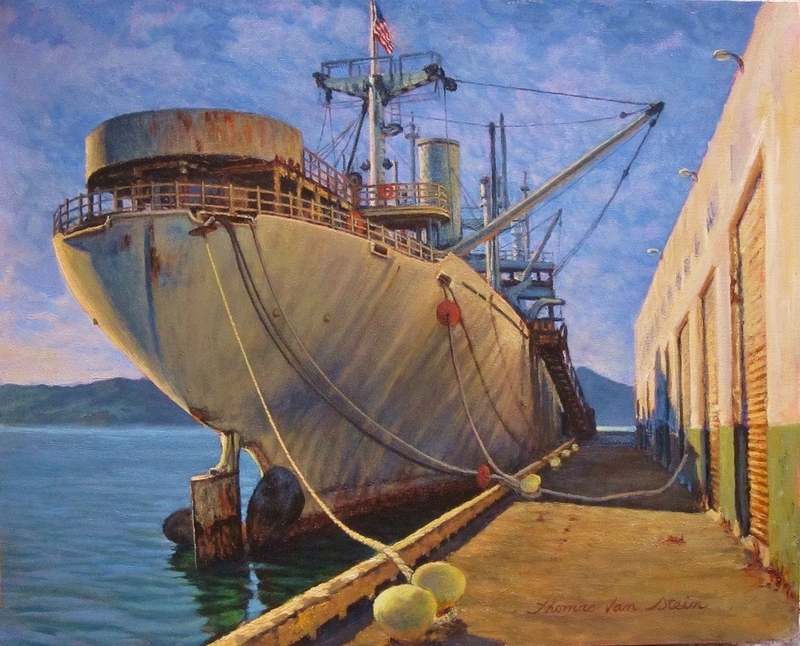 The Red Oak Victory is one of two Victory Ships saved from being scrapped out of the Ghost Fleet in near by Suisun Bay. The ship was imacculate on the inside, however the outside left much to be desired. Just after I took this picture, I laid in the basic color masses, when the wind came up and practically blew my easel over. It blew like a wind tunnel, through that gap between the ship and the warehouses. In researching the history of this ship I see it is now fully restored to WWII configuration, and sits as part of the Rosie the Riveter Museum in Richmond, near where it was created almost 70 years ago.